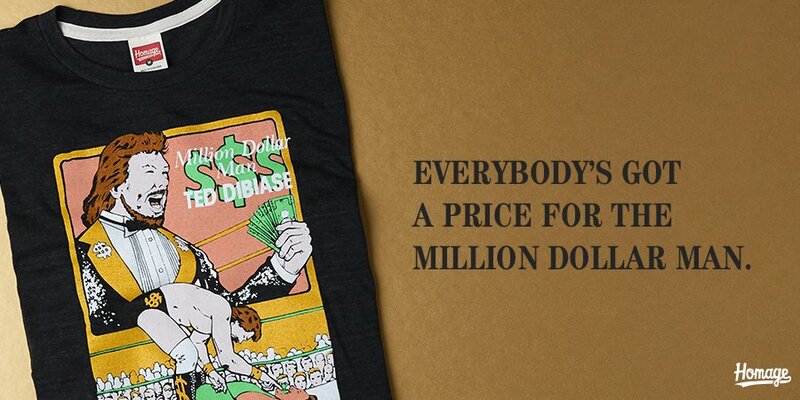 HOMAGE continues its line of retro WWE t-shirts with this exciting “Million Dollar Man” Ted DiBiase t-shirt! Rich in ring prowess, flush with technical skill, and incredibly well off when it comes to wrestling ability, the “Million Dollar Man” Ted DiBiase knew his worth in and out of the squared circle. Celebrate one of the most recognizable WWE Superstars of all time, because everybody’s got a price! 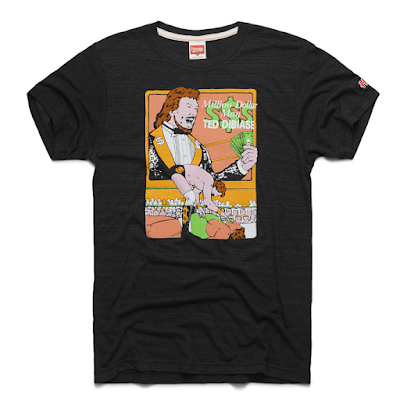 The WWE “Million Dollar Man” Ted DiBiase T-Shirt is currently available at the HOMAGE online store, in sizes XS-3XL, for $32.